I recently ate lunch at Dorry’s Downtown in Cary with Johnnie. Dorry’s Downtown reminds me of a casual, family-run deli you’d picture up north. We were immediately welcomed by the friendly owner Ray Dorry, who was raised in New York City. The deli was crowded for lunch with locals from the Cary area, even Ray’s parents were seated together enjoying a couple of sandwiches. 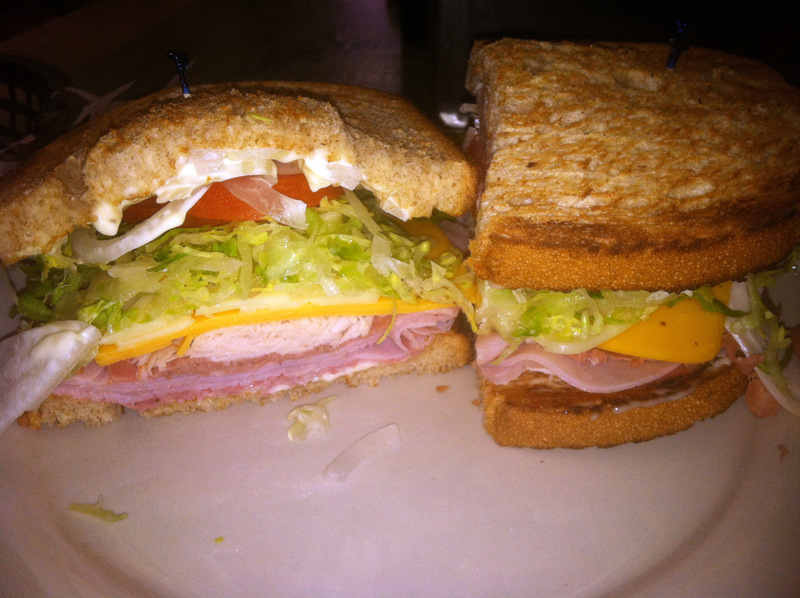 Johnnie and I placed our order at the counter; two sandwiches named the Uncle Louie and Dorry’s Dagwood. We then sat down at a table and admired the Carolina Hurricanes memorabilia hanging on the walls. Ray’s obviously a big fan, he even came over to discuss some of the latest Hurricanes news with Johnnie. Soon the sandwiches were delivered to our table. Johnnie and I admired the size of the sandwiches and decided to split them so we could each try both. Dorry’s Dagwood was my favorite sandwich. The sandwich was loaded with different types of Boar’s Head meats, roast beef, turkey, ham and pastrami. I especially enjoyed the two cheeses, thickly sliced cheddar and Swiss. The lettuce, tomato and onion were also extremely fresh. I was just a huge fan of this sandwich; it had the perfect amount of mayo and the best part was the warm, toasted whole wheat bread. The Uncle Louie was also very tasty. 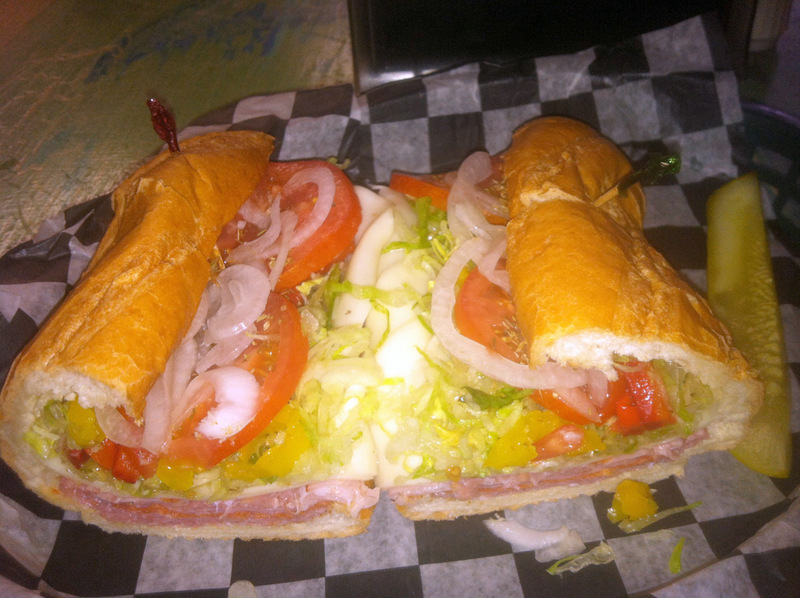 This sub sandwich is perfect for the typical “Italian sub lover.” Uncle Louie must love a sub with meat because this sandwich was piled high with salami, capicola, pepperoni and prosciutto. The sub also had lots of toppings, which included provolone cheese, lettuce, tomato, onion, roasted red peppers and banana peppers. The oregano, oil and vinegar added even more umph to this delicious sub. Dorry’s Downtown uses locally-baked breads and I especially liked the sub bread, the crust was flaky and the bread was soft. After devouring the sandwiches Ray told us to check out his garden so Johnnie and I walked outside to discover a few garden boxes filled with plants. 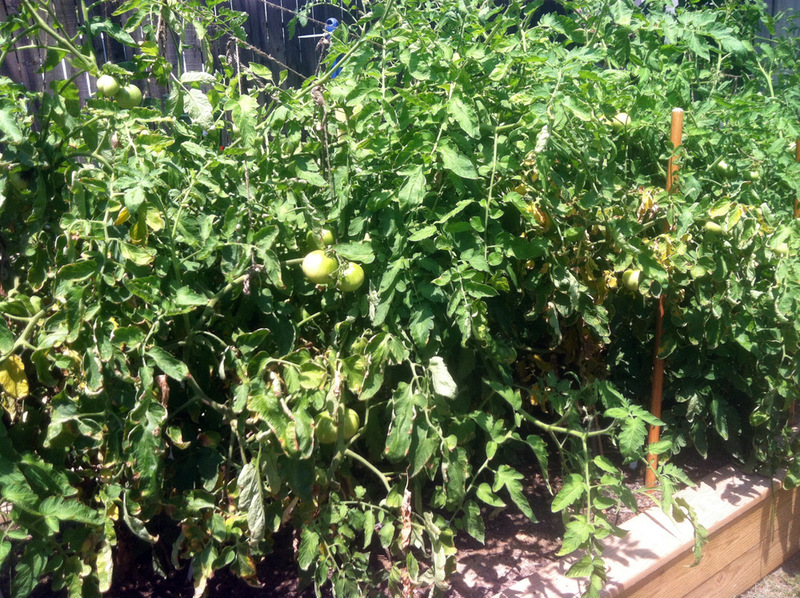 The tomatoes were definitely taking off! 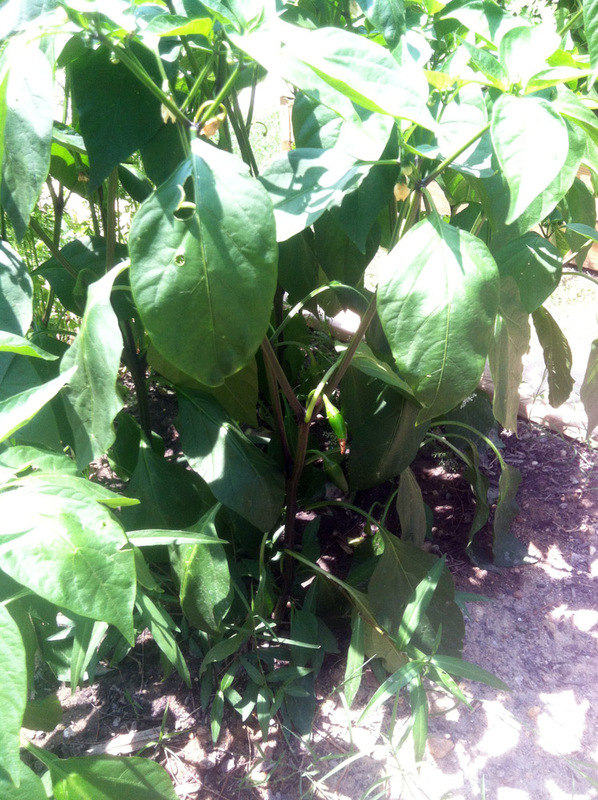 Ray also had cilantro, eggplant, peppers, along with various other plants growing in his garden. He uses all of the foods from his garden in the restaurant. No wonder the veggies on the sandwiches tasted so fresh! 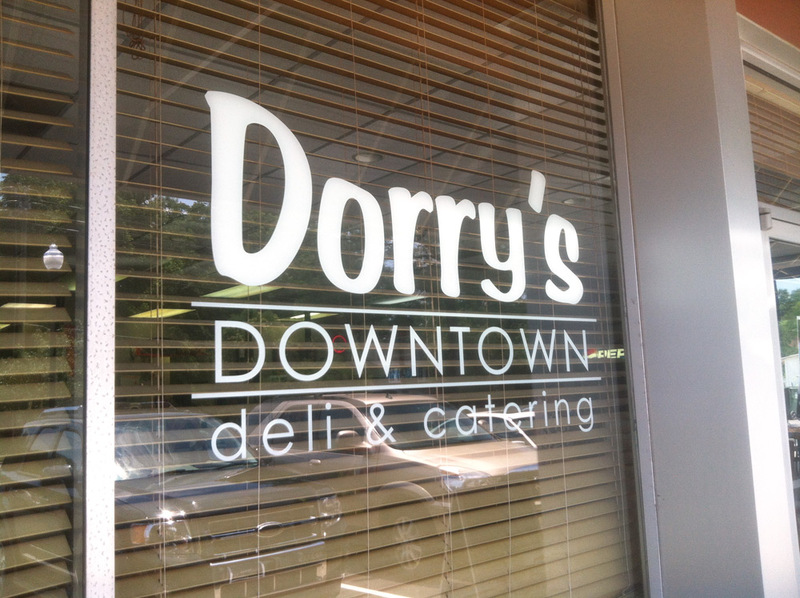 If you are looking for a great, quick lunch spot, check out Dorry’s Downtown in Cary. Not only does the deli use quality meats, cheeses and breads, they go the extra mile by growing some of their produce and making all of their sides from scratch. Just when you thought Dorry’s Downtown couldn’t get any finer, Ray is also committed to giving back to his community. He has teamed up with the Hibernian to host, “The Great Cary Reuben Challenge.” The challenge started on July 1, and ends on July 31. During this time, voters must eat a reuben at both restaurants and a percentage of all reuben sales will go to a charity called St. Baldrick’s.